I think Iden is in fact a pretty balanced character, and am Impartial to any changes. I bring this up merely as a point of discussion. If you wish to skip the jibber-jabber scroll down to Questions Below. 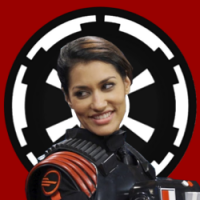 Iden is one character that can help change the momentum of the battlefield in GA. I’m certainly not saying she is the best, but is pretty good in the hands of a skilled players. When I choose to play with her, I prefer an aggressive play style. I find that when I charge forward and lead with her other players around me are more committed to moving forward. Which is good, when sometimes some players seem to be content with staying locked in a stand still. I find far more useful equipping her “Cooled Blaster” card for decreased heat build-up than those people that might prefer to equip her “Alternate Methods” card for the more passive playstyle of sitting back and secondary spamming. This is just a small sample size of ways to negate or at least hinder her field of play on the battlefield. All legit means and strategies that i have no qualms with. Not even mentioning possible play from enemy Heroes. 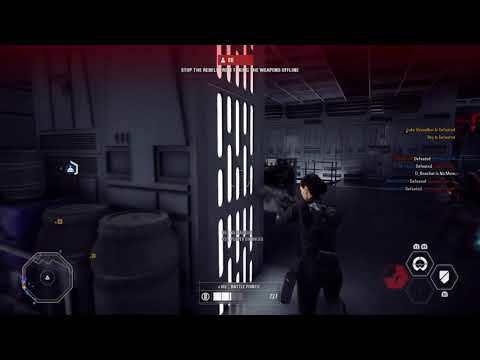 While Iden can be a good hero, there are some of her abilities that arent able to be used quite as effectively. I find this ability so utterly useless. By the time i could have gotten 1 Long-Range Killshot, I could have gotten at least 2-3 more while playing close up near the objective. The spread on her TL-50 is so tight that she can still be quite effective with it at Medium-Long Range. Im nearly maxed out in almost everything in this game but due to this abilitie’s ineffectiveness, as far as team play and playing the objective, I choose nerver to use it. I checked and I still have 28 more kills to go for the “Armed and Operational” Challenge. I would be a blatant lier if I said I never used Shield Droid. Like the Stun Droid it is part of her arsenal that makes her unique. While it is certainly not useless, I am calling it out for not being all too effective. I am almost rarely in some sort of a situation where my shield’s health has been completely wiped out, because of this I never find it necessary to equip her shield health card. The exception to depleting my shield’s health usually only comes when being targeted by Air Vehicle Straffing Runs. More likely I would die waiting for the shield to reset from cooldown. C.) Explosive Shots, usually from a Wookie, but also finished off from the Heavy’s DC-15LE. Again, I got no qualms with how the game is played. But trying to retreat back to mount another insurgence or pushing forward on an objective on some maps can be especially challenging. Chokepoints on Theed and Kamino in particular come to mind. A lot of it has to do with Map Design. They’re supposed to be difficult to take. But I bring to question the usefulness of the Shield Droid. Whats the point of bringing it up when there are so many ways to pierce right through it. If she is supposed to be Elite, should her Shield be as generic as the Specialists? 1. Should her Droid Shield be able to block Explosive Rounds? 2. Should her Droid Shield be able to block the Stinger Pistol? 3. Should her Droid Shield be able to block LAAT fire? 4. Wookie Enforcers shouldn’t have Explosive Rounds? 5. If Yes to any of the above questions, should then the Droid Shield Health be Decreased? 6. Her character is balanced as is, leave her the way she is? If you have any additional questions or comments feel free to discuss. Thanks. 4. Yes, Wookie Enforcers shouln’t have Explosive Rounds. But I am okay for leaving Chewbacca as is. 5. If she could block explosive rounds, then yes, her Shield Health should be Decreased. But her player Health should remain the same. From where I'm standing her shield feels only a bit less powerfull than the one surrounding Scarif. Cooled blaster is only good in HvV, alternative methods is better for GA.
AT-RT isn't really a threat to her, if you are harassing her with an AT-RT is is probably because the team she is on is bad. AT-RT being able to run down one specific person means that they probably have 0 help from teammates. LAAT isn't a real viable counter because you have no control over where it is taking you, and she can Pulse cannon you out of the sky in less than 5 shots. WW dies to her in a 1v1, no real possible way for a WW to get her. Stinger Pistol against me you won't have time to pull this out and get off multiple shots. Bubble Boi specialists don't work either, you try that against me you'd get fly and fried then you'll die why helplessly swinging our elbows at air. yeah that's pretty viable but speeder vs hero combat is something that really isn't in a good place right now, should get patched. The rest of your list is pretty situational, no good Iden would stand still to a horde of sentries or officer turrets, if she gets flash banged she can just shield up and dodge away. If multiple aircraft are able to strafe her constantly then that is her team not being good thing. The pulse cannon is far from useless, it can kill most blaster heroes in 2 shots at range and is an extremely useful AA weapon, ask @Admiral_Xen. I've mowed down many clown troopers on the beaches of Kashyyyk and it is very easy picking off rabble snipers on both. It's the only downside is that it is very situational to use. Not sure what game your playing but her shield without cards is near impenetrable, it is something that makes her too good against heroes atm, she can 1v1 any hero but against blaster heroes, it is laughable how easy it is for her to win. It blocks just about all explosive damage too, for the most part, her shield is impenetrable. I don't die as Iden, only times I do is because of inept teammates, I'm low health in HvV, or I get 4v1 in HvV. Other than those situations I do not die. Specialist bubble bois are a joke, not a real threat. Saber users are cute, they always die tired when facing me. Again not sure where you are coming from here, her shield blocks like 95% damage. Grenades are easy to avoid. Her shield is much stronger than you are saying that it is, it is far from being the same as the specialist's shield. Her shield should be able to block all that (and already does for the most part). As of right now, I'd change it so that hero blasters do more damage to it since that is what puts her so far above them in a straight up fight. I'm pretty sure it DOES block Stinger Pistols? It is not the sabers, or Palpatine that I fear when I'm fighting the villains on whichever map. It is the Iden & Bossk combo. These two will carry a team so hard if the opposition is scrambled about. Add in a recharge officer, and Iden will have her Stun Droid available constantly, and no one will ever defeat her. Ever. My personal highlight was fighting a Yoda on Kashyyk in the bushes. I had like half of my permahealth lost, so I just kept stunning him til I regained all my health, then killed him. I haven't really encountered the problems you mention with the shield though, admittedly. I'm never so much in the frontline with Iden, as I am in the flanks, only to retreat and then strike from another direction. I have been reliably informed that Empire is pretty much the prophet when it comes to Iden, however, so you will be fine if you take the above post as gospel. 8) Bubble and do the roll dance, preferably send an alt-fire in the direction of the grenade while you're at it. 9) Killed 2 officer turrets @ 1:10. These things can't kill anyone but bots. How are they gonna threaten a hero? Most of what you say is things that I thought as well when I first started playing Iden, but is just a matter of a little practice and she becomes very powerful, arguably the most versatile hero in terms of being viable at all ranges, against the largest number of targets (trooper, hero and vehicle alike). I’m actually pretty good with her myself, usually finish Top 1-3, but I didnt want to start off making this post about me, rather into more of a discussion. I just dont find it helpful when it turns into a we should change this because I can or can’t do that. But I’m really glad I made this post because I learned a few things and appreciate the comments. 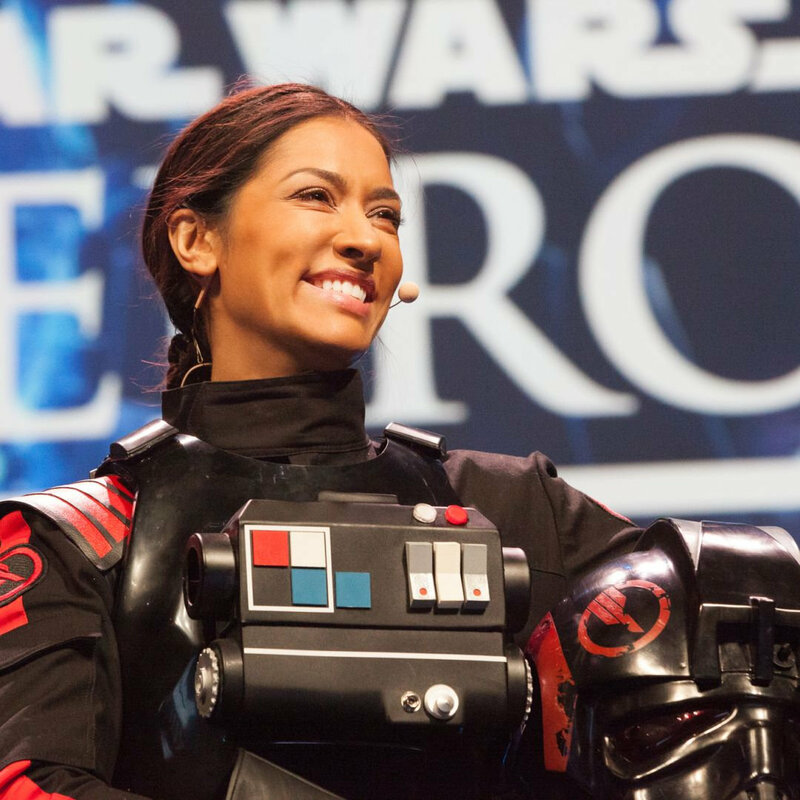 I tried to mention a few ways you might be able to counter Iden first because I think for the most part she is a pretty balanced character. But if your good none of that is really gonna matter like Empire_TW said, unless you have really inept teammates. None of that really gives me much trouble either. I will say checkmate, the Wookie 1v1 was kind of a stretch lol. But after reading Empire_TW’s response I do kind of concur that maybe the blaster heroes damage to her shield could be more, especially when you consider for example in like a HvV match, but I’m content with as is and try to shy away from wishing for much buffs/nerfs. We’ll see how things play out with the new Health Cards coming out. I play Cooled Blaster for the same reasons you mentioned Admiral_Xen. I realize the masses in the forum or other social media usually suggest the Alt Method for GA, which i agree is really good for crowd control but I think usually the bigger threat is other heroes. Certain maps in particular I can understand how it might be more helpful. Hoth for me might be an example where i might swap it in. For like Kashyyyk Last Phase as an example, I personally find “CB” way more helpful. But I think people should play with whatever makes them good or comfortable. I got respect for you Empire_TW, and know you’re a skilled player. I never really thought about using the Pulse Cannon on the LAAT or AA and will definetly have to try that out. As a lingering LAAT on Kamino P2 for example can be flustering when your trying to cap an objective. I understand you have no control over the LAAT but if you’re given enough time and are put into a circling pattern where you are able, you can fairly easily take out a hero(es) or wither away a lot of their health in just one run. As long as theyre not close to “good” cover, I’m able to do it and have seen others. Kamino and Kashyyk are good examples. You just have to wait for the opportunity where your at a good angle and then use the no heat-build up ability to take em out. It all just depends if your opponents allows you to stay up there. If you start to take the LAAT out after I begin my attack its going to be too late. But again here, if you keep yourself in a position where you cant be attacked, have situational awareness to realize when its up, and have a team that takes it out when it spawns then its an ineffective strategy. Part of the reason I personally find Pulse Cannon not very helpful is because its a very situational ability. Also I feel my personal play style never really puts me in a lot of situations where i might find it useful to use it. But admittedly I haven’t tried using it in quite awhile. I also dont like that it has an auto-discharge, unless that has changed. I know you can, and there a number of people Ive seen do it, that can rack up a lot of kills with it, but in general I can comfortably still say that not many people use it with much frequency. I’ll try playing with it a little more to see if I can maybe add it in to my playstyle, especially on the larger maps. I think the spread on her TL-50 is pretty tight though and can be pretty effective even at Mid-Range, finishing someone off with an Alt Fire if I have to. Having slept on it, I think perhaps my bigger thoughts originally were mainly on Explosive Damage, particularly from WW. Theed as a prime example, where when I have to fall back P2 to make another push I’m still getting my health chipped away, even with my shield up. I could be wrong. But if its not from WW then Im not sure what it is. Im aware enough to differentiate and rule out that yes I’m not talking about damage from grenades, toxin, or stinger that hit me before I put my shield up. The responses have been good and I think I downplayed her shield maybe more than I should. I was just curious to gauge what people thought of it at the moment and if other people actually use the Extra Shield Health card. Hehe, 100% agree, Bossk and Iden are an extremely potent duo. Love playing with a complimentary Bossk. In GA I usually stick with another hero so that facing enemy heroes isn't too much of an issue. Alternative Methods is also super effective at removing Clown Troopers, Rabble scum, and Resistance Goobers in tight corridors especially when you fly'n fry them. It's really nice when it is Death Star and there's a whole bunch of them clustered up. This situation is a prime example why I prefer alternative methods over cooled blaster in GA.
@Admrial_Xen was my green ally during this match, we were carrying a pretty bad team. A valid point. Death Star’s closed room map design, and tendency for units to cluster makes Alternative Methods a good choice to have in your kit, particularly when it feels like you’re carrying your team. Sometimes I do regret when I’m not switching it in for some maps, particularly when I feel like I’m on a bad team. Then its not trying to target enemy heroes but just trying to give your team a chance. Last night was such an example, I seemed to just have rotten luck with matchmaking. Unfortunately none of my friends were on (playing RDR2 lol). 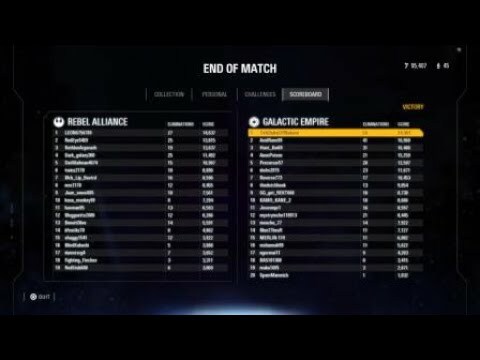 I played on Tatooine for ~10 minutes or so, and we couldnt even make it out of Phase 1. We used the majority of our tickets trying to take the Cantina. We were taking it early and had 8 guys, then it turned into maybe 1-2 and I was getting surrounded. Managed to stay cool and take out an enemy Yoda, followed shortly by Luke. With about 15 tickets left we finally Cap’d and rolled to the other objective and played about another ~2.5 minutes overtime over there where it was me killing who i could but mostly just shielding up, rolling, running, jumping in and out of the objective just trying to keep the timer from expiring. I finally saw another ally Hero after about 20-30s into overtime, someone spawned in as Phasma but she died relatively quickly and was playing outside the objective. No AT-AT support, no other ally hero, no one able to really get through and provide cover from above (or get into the objective for that matter). Finally ended up loosing when someone on the other team spawned in as Chewy and slammed me out of the objective. Wouldnt have mattered though as I had just a sliver of health left. That paticular game is where I wished I would swapped in “A. M.” just to help clear out the swarm of enemies. Especially after reading your post. But I know we woulda got stomped regardless. I ended with 32 kills that match and the next guy on our team I think had it was either 15 or 16, with most of the rest a bunch of other single digits. The other team was stacked with Teens and 20s. Got matched up into 2 other games with similar results (though not nearly as bad), then out of disappointment just decided to call it a night. 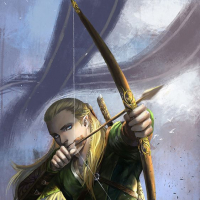 I am going to BACKTRACK and apologize to everyone after re-reading my post, as well as seeing the responses, regarding me saying “I am calling it out for not being all too effective”. What I wrote didnt reflect what I had intended. I applaud those people that rightfully called me out, but also provided numerous counterpoints to justify this statement being absolutely False. Sorry for the hysteria. Some really good and insightful advice. After playing a few rounds I do have to continue to remind myself to not get too greedy and overly-aggressive or I will eventually end up making a mistake and paying for it. Ugh, not the greatest start on my part there. Solid play from your end, though. Yeah, on a map like DSII I can see AM being more useful. I mostly don't switch it out of laziness. Had I not possessed the High Ground odds are I would have been overran our team weren't good at holding a position. It was just me and Xen that night and I usually like to play with more than that so I know at least a few more people would have my back. @Admiral_Xen seemed to do a pretty decent job holding up mostly on his own up front there towards the end. Saw your teammates droping like flies though. At one point it looked you were holding the room all by youself there for a bit, once @Admiral_Xen fell and they all started rushing in. Besides Xen, and I think that’s Boosk below(? ), you only had on average ~2-4 other units who were there helping to defend that last objective. 8:40 Not sure how that one guy managed to Flank all the way Behind you. He should of ran up the stairs and Flanked you on the side instead of giving away his position and taking harder shots from down below. @Admiral_Xen Did you even get the chance to play a Hero? Or were you just running support all game? nah I went **** up on my first spawn without doing much with it and fell behind badly that I didn't get a hero. Deathtrooper is nearly as good as a hero on that map, anyway, so long as you don't run into any actual heroes (or Wookiees) who know what they're doing. In total, a rabble assault, a hairy abomination, a jump pack boi, and the gambler tried to displace me. The first 3 were easily dispatched but the gambler was deploying his stun, I like Billy Dee but I wasn't about to let him hurt her pretty face. I messaged you "God save the Queen" after that match, that usually is a celebration of her earning first place however with those bad teammates she needed all the help she could get.